R E V I E W S - Scaffardi Artists Management AGENZIA DI MANAGEMENT ARTISTI, ORGANIZZAZIONE E GESTIONE EVENTI. Music critics, audiences and fellow musicians have recently been calling Marianna Vasileva an upcoming first lady of violin. She displays a truly unprecedented violin technique, and resonant tone, digitally precise intonation in all circumstances together with the breezy confidence and light-hearted intelligence that she brings to her performance. 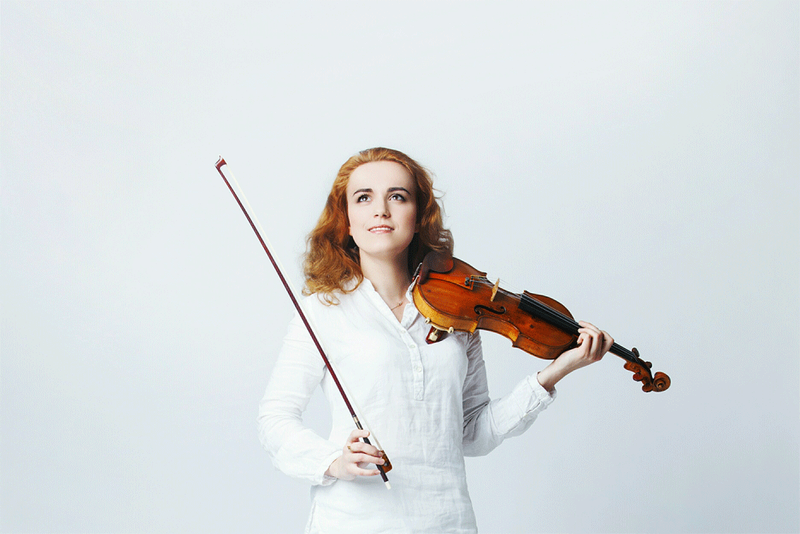 As a winner of many international competitions (the International Glazunov Competition, the International Henryk Wieniawski Violin Competition, the Prague Spring International Music Competition, the Violin Competition Sion Valais and other) Marianna is appearing repeatedly as a guest artist with famed ensembles internationally. She cooperates with young talented artists as Tal-Haim Samnon, Miroslav Sekera, Charlie Siem as well as the well-know and renewed artists Shlomo Mintz,Krzysztof Penderezki, Itamar Golan, Paul Watkins, Yuri Bashmet, Saulius Sondeckis and others. Marianna’s exciting charisma was admitted by Mstislav Rostropovich who has listened to her for the first time at his anniversary party in 1997. The same year, she has her debut in Germany where Marianna had a great success performing Bruch’s Concert No. 1 for violin and orchestra. A year later, Valery Gergiev invited her to his largest festival in Mikkeli, Finland. In 1997 Marianna became a winner of the international competition “2000 Virtuosos” in St. Petersburg and the International Shostakovich Competition in Hannover, in 2000 – the International Glazunov Competition in Paris. In 2001, she not only became an awardee of the International Spohr Competition in Weimar but also won the main prize of this competition – a violin. 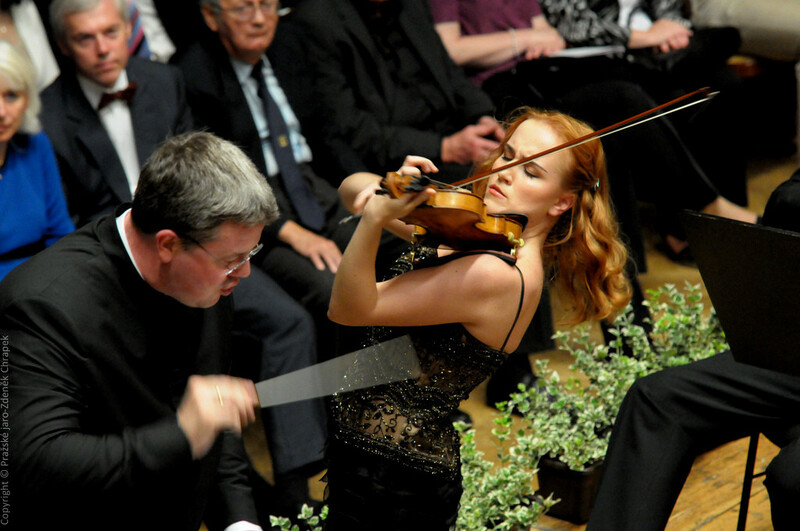 The same year Vladimir Spivakov invites Marianna to take part in his exclusive festival in Colmar. 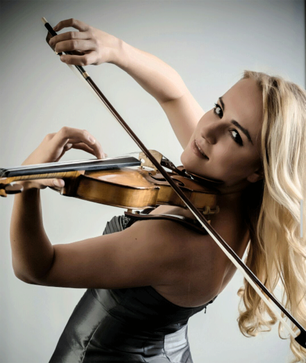 In 2009 Marianna won the 1st prize in the International Henryk Wieniawski Violin Competition also in the Prague Spring International Music Competition in 2010 and the Violin Competition Sion Valais. Marianna got her first violin lessons in the age of five directed by her father. When she was in age of 7, she played her first recital concert. Then, the famous violin players became her teachers: Vladimir Ovcharek (the Vocational school and the St. Petersburg Conservatory), Dora Schwarzberg (the High School of Music in Vienna), Zakhar Bron (the High School of Music on Cologne). She has over 40 concerts in her repertoire. Her current season includes cycle of the 24 Caprices by N.Paganini, concerts by K.Penderecki, L.Beethoven, P.Tchaikovsky etc. Sonata No.1 a-moll "Sonate Posthume"
Polonaise No. 1 in D Major, Op. 4.